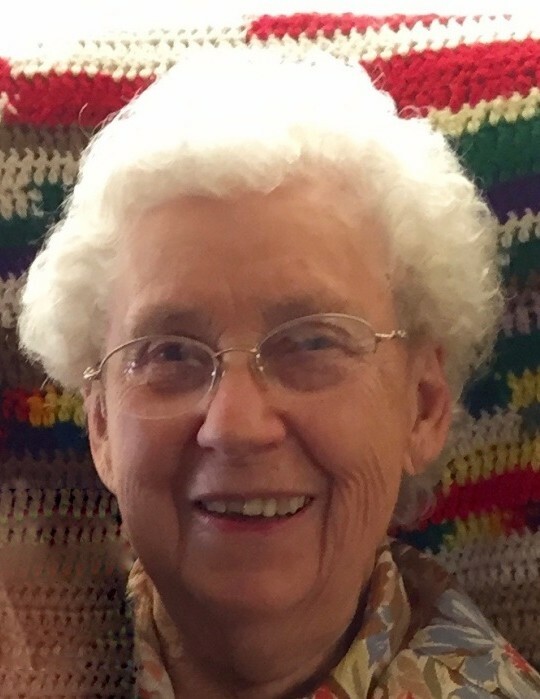 VERONA, WI/ MYRTLE CREEK, OR – Elaine V. Cameron, age 94, passed away, peacefully, on Sunday, February 3, 2019. Elaine was born on December 6, 1924 in Hagerman, ID to Harvey and Mabel Vader. She grew up in Hagerman and attended the local grade and high school. Later she graduated from Albion Normal College in Albion, ID with a 2 year degree in teaching. Elaine then went to Challis, ID to teach high school. While teaching she met the love of her life, Dudley Cameron, and they married in 1946 in Pocatello, ID. Elaine taught school for over 25 years, mostly in Myrtle Creek, OR. While teaching and raising a family she finished her BA and Master’s degree in education. Elaine was an accomplished pilot, seamstress, and baker. She enjoyed playing cards, traveling, and especially watching her grandchildren. Elaine touched many lives and will be greatly missed. Elaine is survived by her daughters, Barbara (Ray) Najera and Candy (Rick) Feldt; grandchildren, Christina (Robert) Moran, Angela (Steven) Ancira, Cory Newman, Tracy Diehm (Jorge Sevilla), Lindsay Feldt (Corey Murray), and Anthony Cameron Najera; great grandchildren, Vanessa and Victoria Moran, Sydney Ancira, Mason, Mia and Elena Newman, Ricky and Cameron Sevilla, Quentin and Zander Murray; brothers, Loren Vader and Pink (Bonnie) Vader. She is further survived by many nieces, nephews, other family and friends. She is preceded in death by her husband of 48 years, Dudley; siblings, Laura (Clyde) Lewis and Dean Vader. A Celebration of Life will be held at 2PM on Sunday, February 17, 2019 at ST. JAMES LUTHERAN CHURCH, 427 South Main Street, Verona, Rev. Kurt Billings presiding. A visitation will be held from 1:30PM until time of services.